The speaker of Iran’s Parliament says the fight against illicit drug trafficking requires coherent and serious international efforts. Iranian Parliament Speaker Ali Larijani has criticized the absence of any consolidated international will to fight drug trafficking saying that all expenses should not be paid just by Iran and the other countries must take it seriously. Ali Larijani, who was speaking at a conference in Tehran to discuss drug abuse and illicit trafficking, said drug trafficking is the dirtiest kind of organized crimes. “Drug trafficking destroys the bodies and lives of people, hurts the families and creates social disparities, so it is a very annoying phenomenon for societies,” he added. Larijani called the increase in production of different types of drugs “alarming”, saying that the hub of narcotics production is bordering Iran. “In 2001, Americans went to Afghanistan to fight drugs and terrorism. Now 16 to 17 years have passed, but statistics show no decline in drug production, and instead it has increased,” he went on to say. “Iran is partly controlling the path of drug trafficking, so the rest of the world needs to think of themselves, because Iran does not have to pay all the costs,” Chief of Iranian Parliament stressed. Referring to the fact that terrorism today is funded by drug trafficking, Larijani said during diplomatic talks much stress is put on the issue of combating drug trafficking, but we do not see the results. There should be more diplomatic efforts to eliminate the sources of drug trafficking. In another part of his statements, the Iranian official pointed out that now in Afghanistan various laboratories have emerged and modern equipment has been found. “From where have they been brought to Afghanistan? The sources are clear. While all Western intelligence services say everything is under control, how is that they cannot root out narcotics trafficking, and eliminate these labs,” he asked. 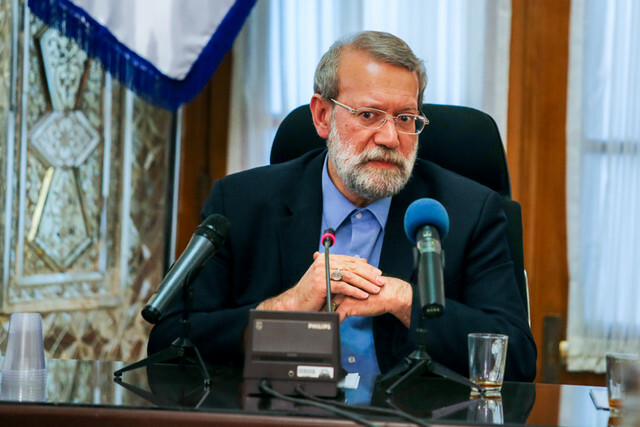 Larijani concluded that in Iran there is a serious determination among the authorities in the field of counter-narcotics, and everyone emphasizes that it is important to combat this social harm. Elsewhere in the ceremony, Iran’s Interior Minister Abdolreza Rahmani Fazli also took the podium saying that the highest rate of drug discovery in the world could be seen in Iran. He pointed out that the Islamic Republic of Iran is considered a successful country in primary prevention of drug abuse, and rehabilitation of addicts in the international community. 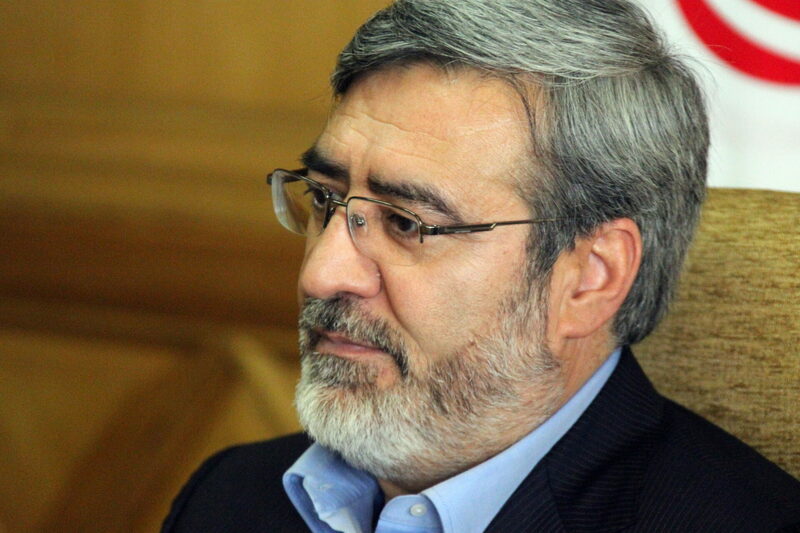 Rahmani Fazli also highlighted Iran’s efforts to fight against illicit drugs, saying that all of the country’s law enforcement, judicial and intelligence organizations have had “an acceptable performance” in this area. “In order to reduce the access to drugs and psychotropic substances, 8,880 operations were launched in which we had armed clashes with smugglers,” Rahmani Fazli underlined. The Interior Minister added that in the clashes, over 2,500 tons of illicit drugs, including narcotic drugs and psychotropic substances, have been captured from the traffickers. Elsewhere in his remarks, Rahmani Fazli stressed that organized crimes have endangered the peace and security of human beings around the world and have led to violation of human rights. It has also undermined the efforts to realize economic, social, cultural, political and civil development around the world. Referring to this year’s slogan of the United Nations Office on Drugs and Crime (UNODC), “First Listen!”, he emphasized that listening to children and youths is the first step in helping them to have a healthy and safe life. “This slogan directly refers to the need for expansion and institutionalization of the primary prevention in social communities especially in the families,” Rahmani Fazli added. Iran shares hundreds of kilometers of borders with Afghanistan and Pakistan, and lies on the main trafficking route for poppy, the source of opium and heroin, from Afghanistan to the West. Despite high economic and human costs, the Islamic Republic has been actively fighting drug trafficking over the past three decades. Iran has spent millions of dollars to seal the borders and prevent the transit of narcotics destined for European, Arab and Central Asian countries. The war on drug trade originating from Afghanistan has claimed the lives of thousands of Iranian police officers.